If you were asked to name the most magical place in the world, I am certain it wouldn’t be Blackpool. For one weekend every February, however, the seaside town is home to more magicians than anywhere else in the world: they are drawn by the annual Blackpool Magic Convention . Now in its 65th year, the convention has grown from humble beginnings into a four-day marathon that holds a Guinness world record as the largest gathering of its kind: there were 3,600 registrants in 2015, with annual attendance growing. Each year, the convention features lectures, seminars and shows in which the world’s best magicians share ideas and new developments in their work. Two goals of this programme are to improve the attendees’ magic and to sell tickets, but these aims can conflict. Most conventions, regardless of focus, have to cater to both professional and amateur audiences. 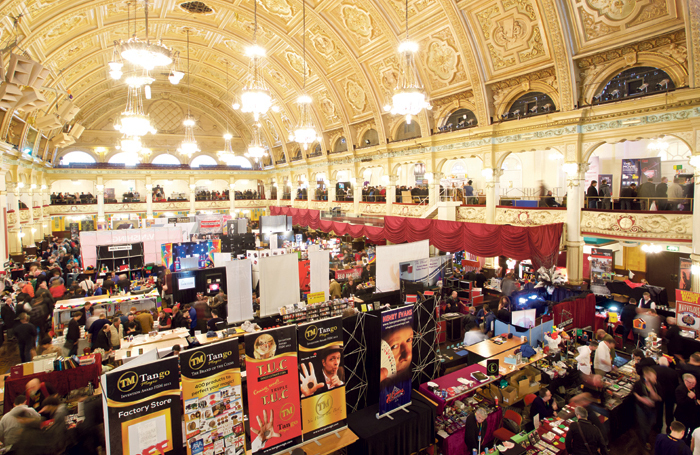 The sheer number of Blackpool attendees gives the convention tremendous booking power, attracting the world’s greatest performers, but it also means that a large percentage of the delegates will be amateurs, or even just magic fans. This is no bad thing. But for amateurs, the ideal convention would generally offer easy new magic wrapped in a fun package. Sadly, easy new magic does not involve the hard work required to make better conjurers. Any programme must strike a balance between appealing to a broad audience and promoting high standards, so the convention’s new organising committee – in its first year running the event – has started to do so. Then, of course, there are the shows. On the final night of the convention a hushed crowd watched spellbound as Kim Young-Min slowly transformed a steel ring into dust. Over the weekend, the two gala shows traditionally feature short acts of the kind that have become popular in West End mixed-bill shows such as The Illusionists  and Impossible . This kind of show has long been a staple of magic conventions, but this year longer-form, solo performances were also featured. In the Saturday gala, Jamie Allen filled the entire second half with his touring show, iMagician, which combines magic and technology in a modern interpretation of what a magic show can be. On the Friday, Paul Zenon performed his show, Linking Rings , which tells the story of his career and its connection with Blackpool in the 1970s. It is heartening to see long-form magic showcased at the convention, as it allows a more varied experience for the convention-going audience and because it reflects the emergence of mainstream UK hosts for this kind of show, such as the Edinburgh International Magic Festival  or London’s Secret Cellar . 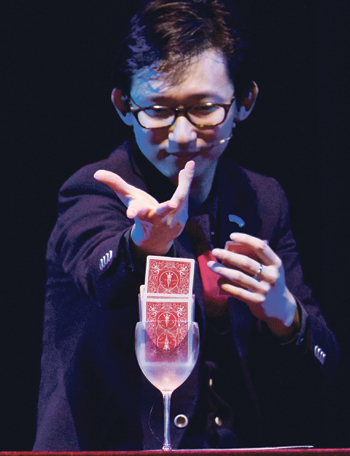 This year the convention also hosted the European heats for the Federation Internationale des Societes Magiques’ World Championships of Magic, a triennial event with a final held in Busan, South Korea, in the summer of 2018. The heat winners this year were Austria’s Bill Cheung and Germany’s Patrick Lehnen. In the competition, performers, sometimes selected in national heats, are invited to perform for between five and 10 minutes, competing for two major awards in stage and close-up magic, as well as a number of sub-categories. Magicians host many competitions, but this one in particular offers a tantalising glimpse of where magic is going during the next few years. At the world championships in 2012, the talking point was the Korean magicians who re-imagined classical manipulation (dextrous magic using objects such as playing cards and billiard balls), a genre that arguably never regained the heights established by Cardini in the first half of the 20th century . Combining stylised movement with innovative technique, the Koreans won first, second and third prizes in manipulation, also taking home a grand prix (see below). Close-up magic was similarly developed by Yann Frisch, a circus-trained performer who took an ancient trick and combined a surreal narrative with innovative technique to win the other top prize . At the 2015 world championships, held in Rimini, Italy, technical innovation was once again key. Pierric won a grand prix with an act that contained fooling moments mixed with beautifully executed physical comedy. Hector Mancha won the other , following the technical path established by the Koreans and adding an intriguing narrative. Just as previous winners benefited from such technical innovation and strong focus on narrative and style, this year’s competition suggests that something similar will happen at the next world championships. Cheung won his grand prix with a sequence of card effects that left magicians baffled. With three spectators sitting beside him, and an untouched pack of cards isolated in a wine glass on the table, cards randomly named by the audience mysteriously rose from the pack. To an audience of non-magicians this may not seem like a particularly difficult effect to achieve, but for a room full of people who know how difficult it is to simply locate a named card without openly manipulating the pack, or to make a random card rise from an isolated pack, the combination was particularly baffling. Lehnen took a very different approach. In a performance drawing inspiration from Disney’s Pixar, a magician working in his office discovers the extent of his powers as he brings a desk light to life. 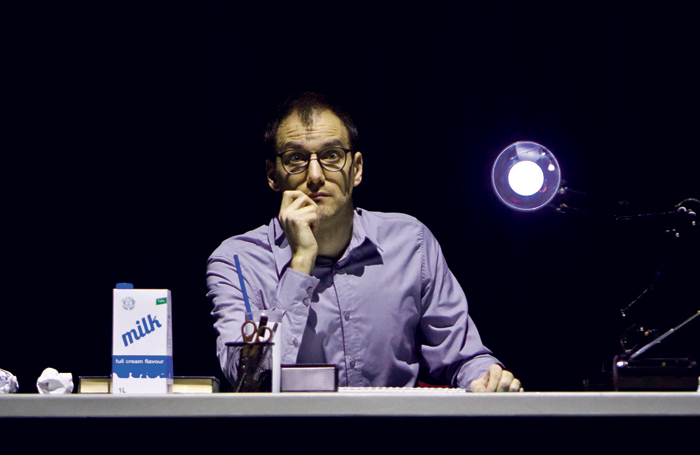 As the act continues, he explores his developing relationship with the light, eventually killing it by mistake. Fortunately, the lamp can be saved and the act ends with a blossoming, if unconventional, friendship. 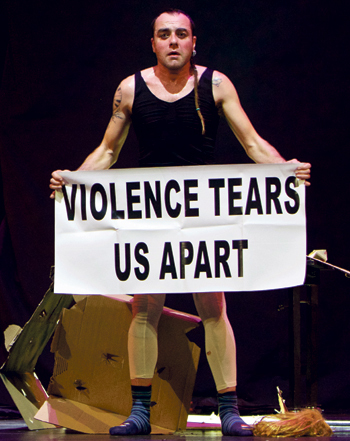 In this case, the starting point for the act was the audience’s emotional journey. “I once heard a clown give a talk,” Lehnen explained, after the show, “and he said that to truly touch an audience you must make them laugh but you must also make them cry. From the moment I heard that I knew that was what I wanted to achieve with a magic act.” The resulting act uses a catalogue of magic techniques, but the narrative and emotion take precedence over the traditional goal of fooling an audience. At first glance, Cheung and Lehnen are doing very different things. In fact, they both aim at giving their audience a true feeling of amazement. They simply use different techniques to move their audience into that emotional state. So where does the Blackpool Magic Convention, and FISM Europe, suggest that magic is going? I believe the competition will continue to reward technical and narrative innovation while the convention will persevere in balancing the desires of its registrants with a professional need to improve magic.